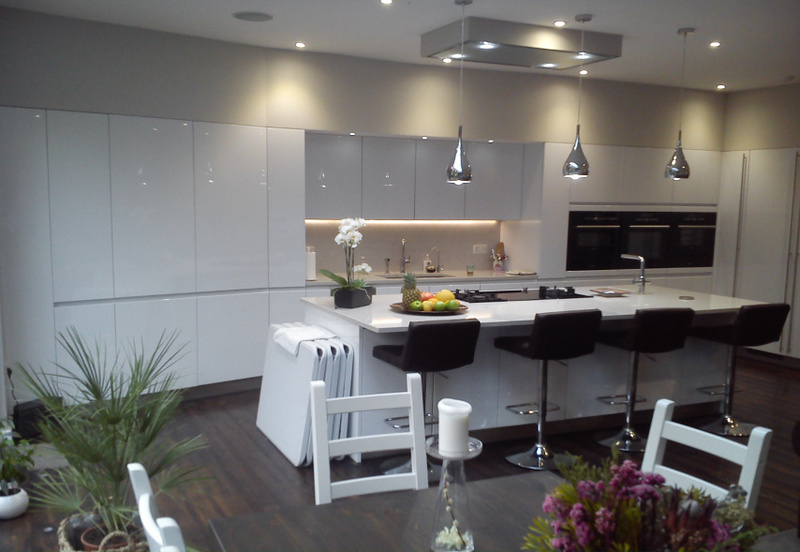 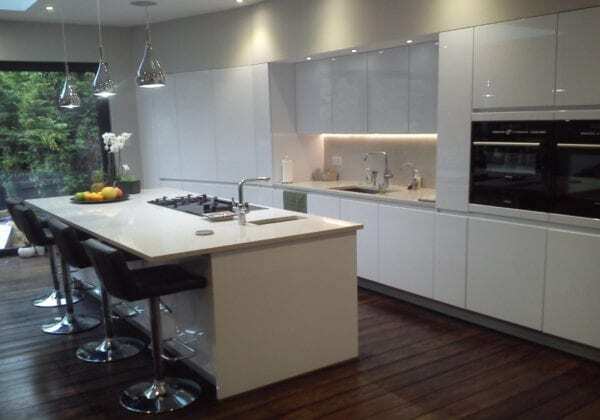 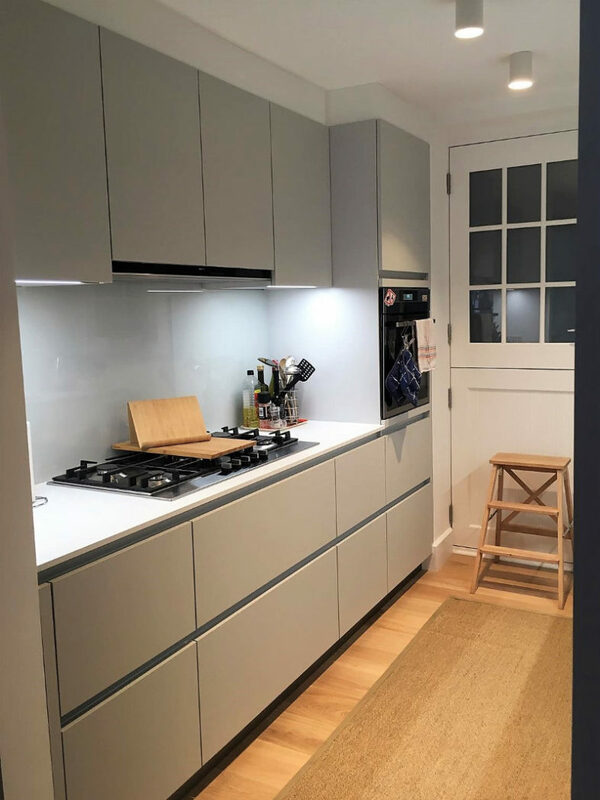 Next125 kitchen, Polar white high gloss lacquer units with tandem glass boxside drawers and black ash cutlery inserts internally. The tall units are 2062 mm high (excluding plinth) and the wall units are 750 mm high. 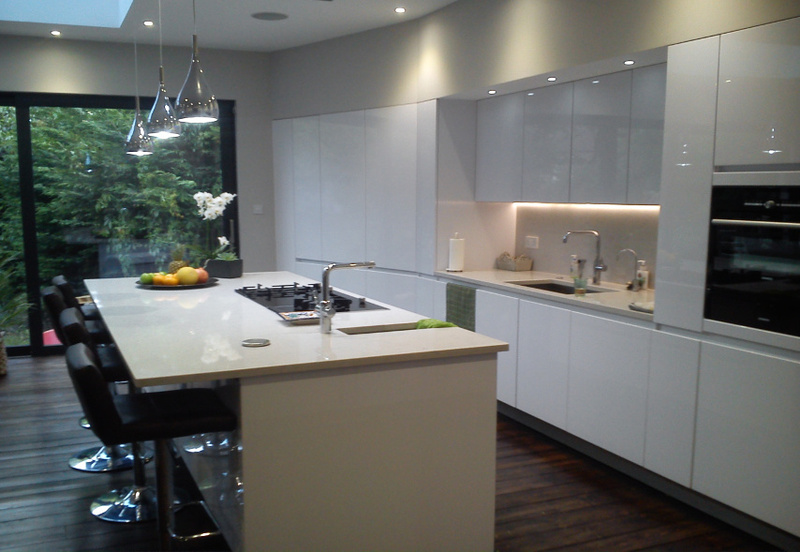 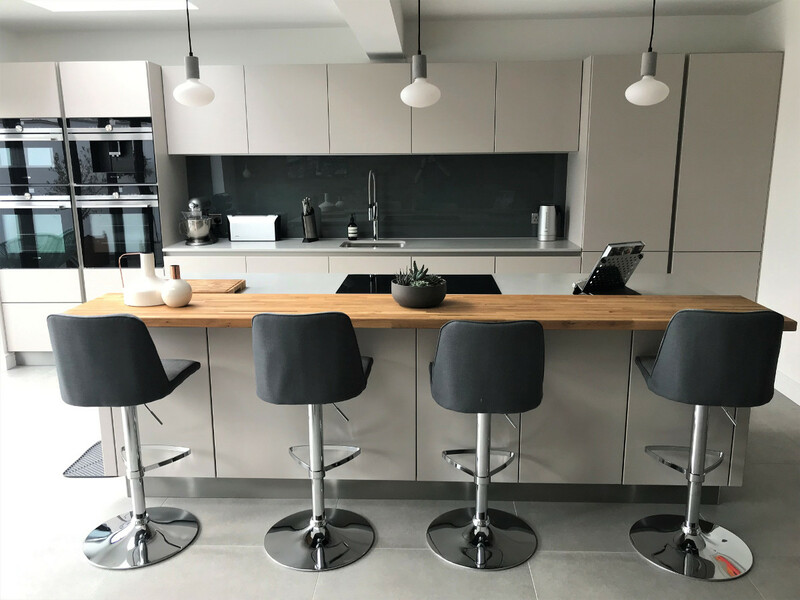 The island has an overhang of 300mm with seating for four people.